The human body is challenged on a daily basis. Whether you are an athlete or working long hours at a desk, your body is put under constant stress. Massaging and stretching the body’s connective tissue is key to maintaining a pain free life. Stretching helps relieve pain, reduce stress, align posture, and increase energy. Massage and stretching appointments shouldn't be a luxury you occasionally treat yourself to, they should be a core part of your lifestyle. Our massage and stretching approach is based on each individual client’s needs. 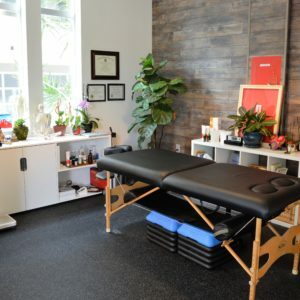 Our extensive training in massage, bodywork and stretching modalities range from: deep tissue, neuromuscular therapy, structural integration (rolfing), sports massage, active resistance stretching and ELDOA. Our unique blend of knowledge, touch and style set us apart from all other massage therapists in the industry. Our therapists are trained to feel, listen, and communicate with both you and your body to ensure optimal results and benefits.